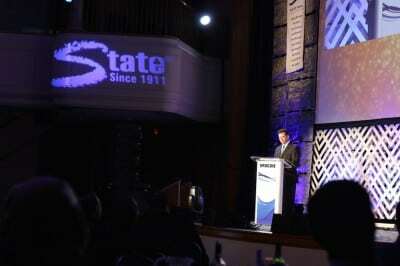 Last month, RTHAV partnered with State Industrial Products for their most recent sales conference. While their headquarters are based out of Cleveland, State Industrial’s products are utilized all over North America, and their sales departments stretch to the far ends of the United States. With such a diverse sales team coming together in one place, and over 100 years worth of business in the books, our team knew they certainly had their work cut out for them with this event. Taking place every two years, this 3-day conference consisted of many different seminars and activities for State Industrial employees. The first two days were all business, as guests attended various sales meetings and breakout sessions to continue building up their skill set and sales repertoire. While this may sound like any old company retreat so far, attendees were in awe of the spectacle that awaited them inside the Grand Ballroom of the Cleveland Renaissance Hotel. 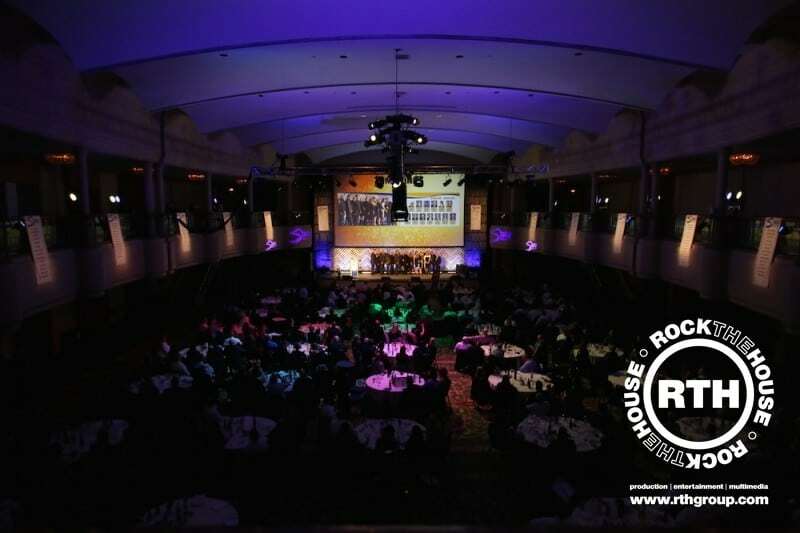 RTHAV’s skilled lighting designers used several-colored washes to add character to the massive space, which were programmed to move on various cues between presentations and during the awards banquet that took place on the second night of the conference. 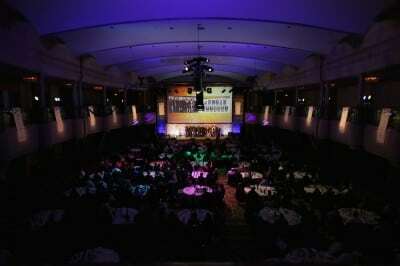 RTHAV also overtook the stage, equipping it with a gigantic 18′ x 32′ AV Stumpfl projection screen to display various media such as PowerPoint presentations, videos, and more from a Christie Boxer 4K30 projector. A lectern was also centered on the stage for keynote speakers, whose message bellowed through the speaker stacks that hung above and made it so all guests could hear no matter where they were seated in the room. After the closing remarks and final breakout sessions on the 3rd day, it became clear that there was only one thing left to do… have a good time! 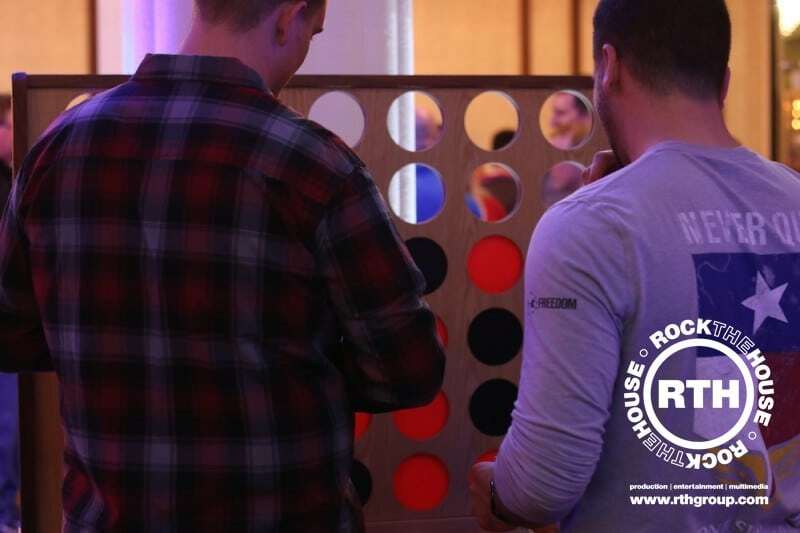 As guests filed back into the main room, they were greeted with a wide assortment of giant, classic games like Connect Four, Light Brite, and even a 13′ Foosball Table that allowed for over a dozen players at once! 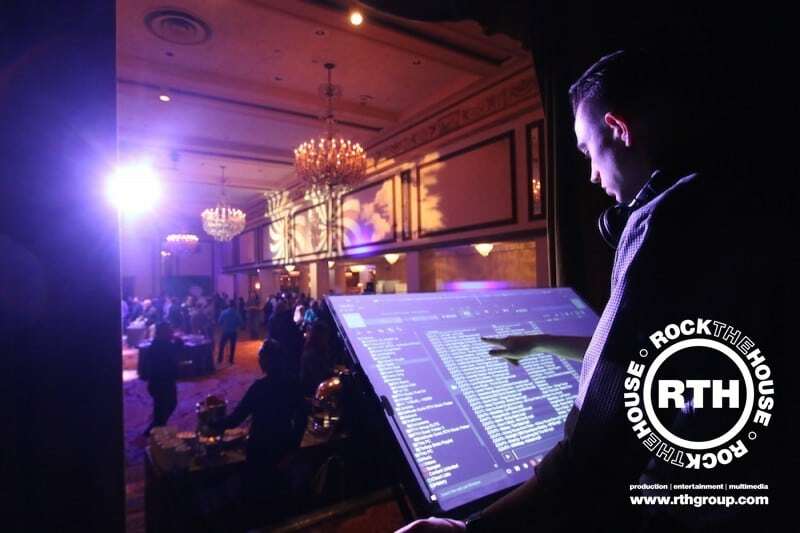 RTHAV also supplied a coinless-claw machine filled with party favors, our signature 4-player Rock Shots Basketball, our virtual SportsZone gaming system and a photo booth with customized props. 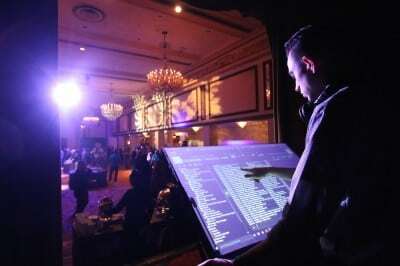 The final celebration was capped off with music by our own DJ, Mattitude, mixing live for a vibrant dance floor on our all-new Touch Screen DJ System. 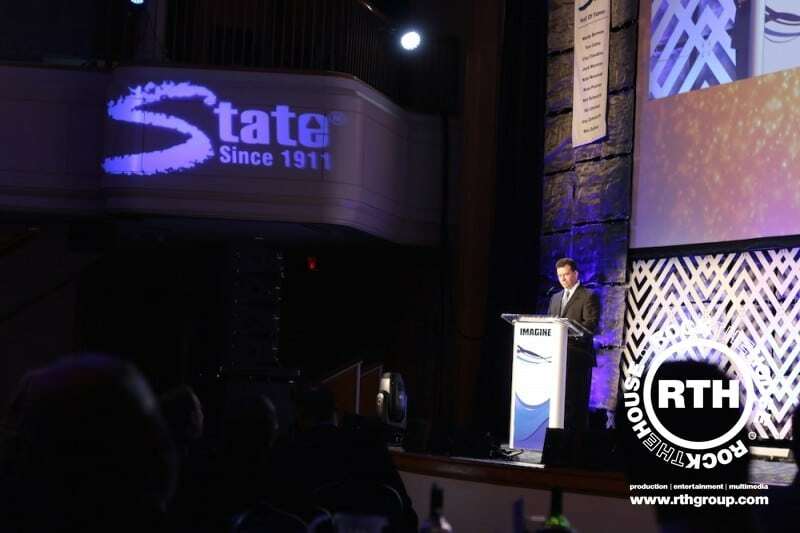 Focused around the theme “Inspire”, it was clear that the message of the conference resonated with State Industrial employees as they headed home that Sunday evening. After a long weekend filled with excitement, fun, and necessary business, the entire State Industrial management team was relieved to know that this imperative conference was truly a great success. That wondrous feeling is surely one of the many reasons that the company chose to work with RTHAV once again after years of continued service. A direct result of our team’s attention to detail, dedication to their work, and their ability to not only get a job done… But get it done well! Photos courtesy of the Rock The House Photo Archive. Interested in partnering with RTHAV for your next event? Contact our team of event professionals today to get started! How To: Throw The Best Sports Viewing Party... EVER.